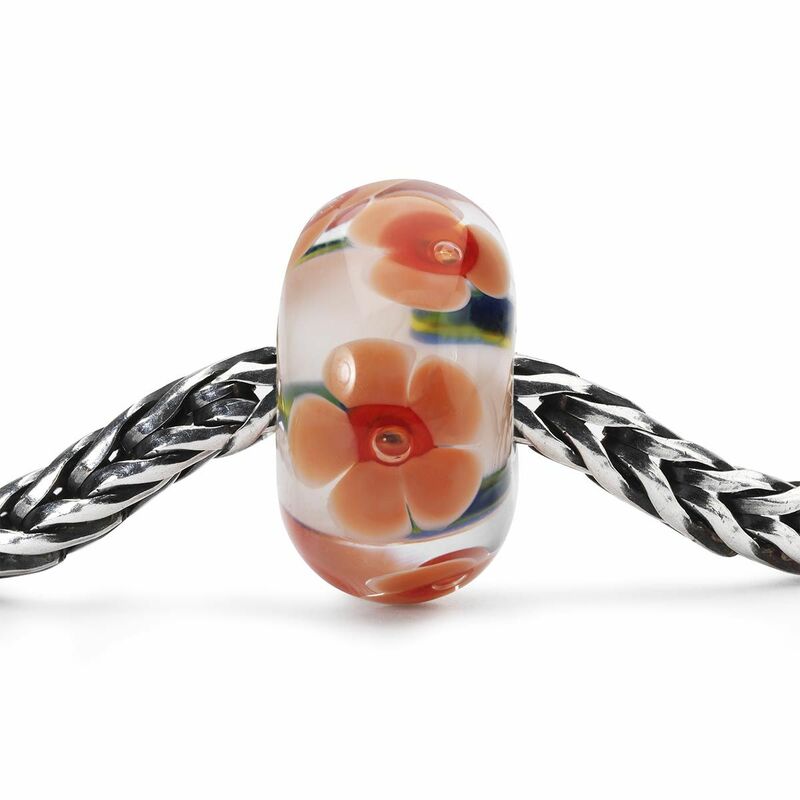 Mamma Mia Trollbeads limited edition glass bead. 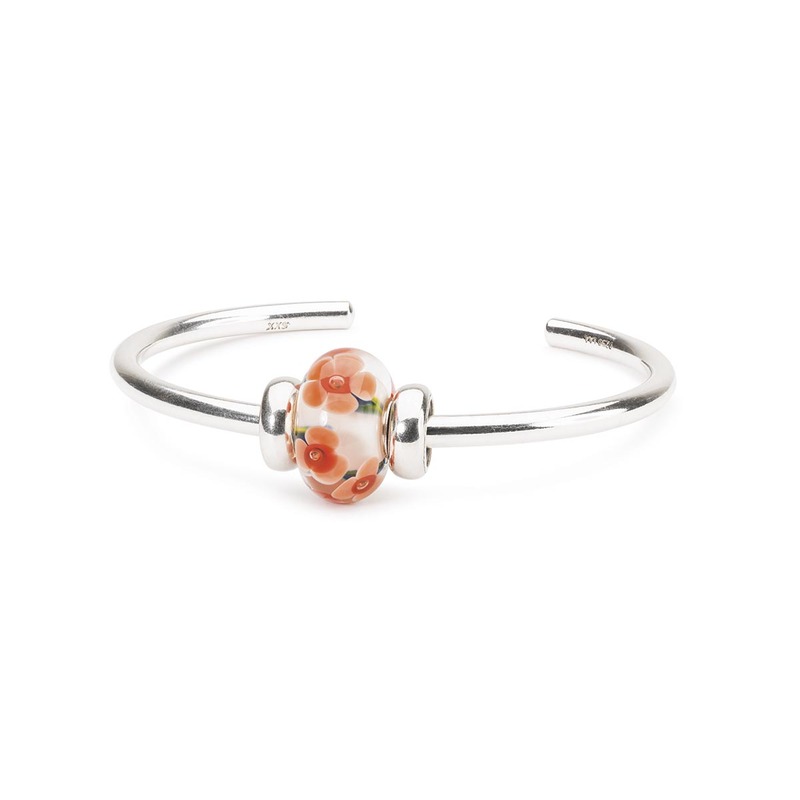 We have over a hundred of this limited edition bead in stock at Sarah Beth Jewellers, it was launched for Mothers Day 2018 and is called Mamma Mia, with a peach floral design within the glass bead and is hand made by Trollbeads TGLBE-20088, we are featuring a live picture of the actual beads that we have in stock on a lot of our Limited pages and also retired pages. A truely beautiful glass bead to add to your collection. Only 2000 of these beads have come into the united Kingdom and it won't be around forever. This is a Limited Edition release for Mother's Day 2018. Limited Editions are rare or unique beads which are only released in very small quantities.This Mothers Day, we introduce the new limited edition, glass bead, Mamma Mia! A vibrant and beautiful glass bead embedded with decorative flowers on stalks. 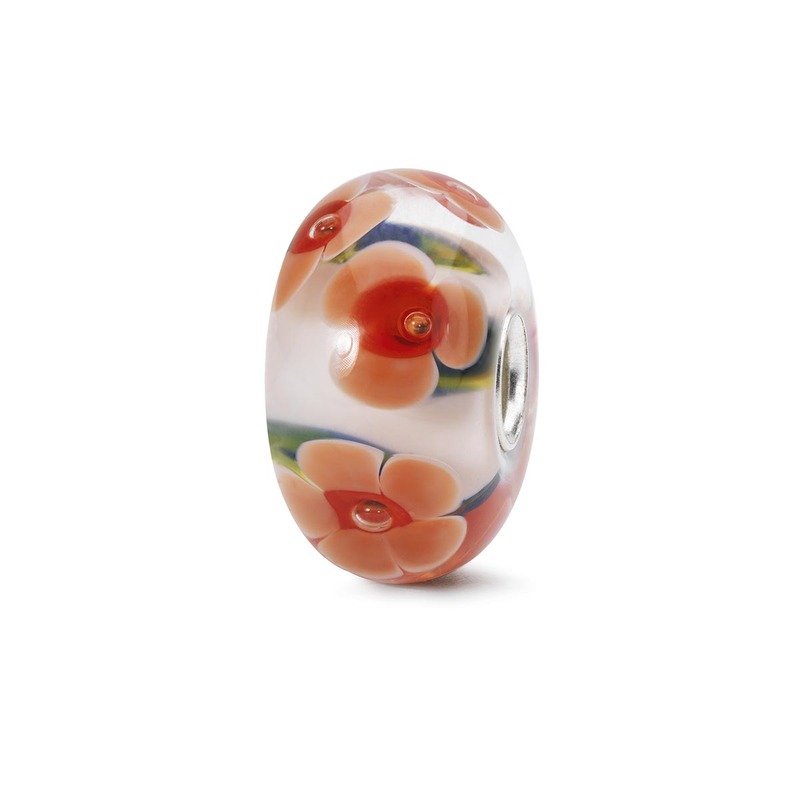 Make sure to evoke warm feelings in a mothers heart with this stunning glass bead. 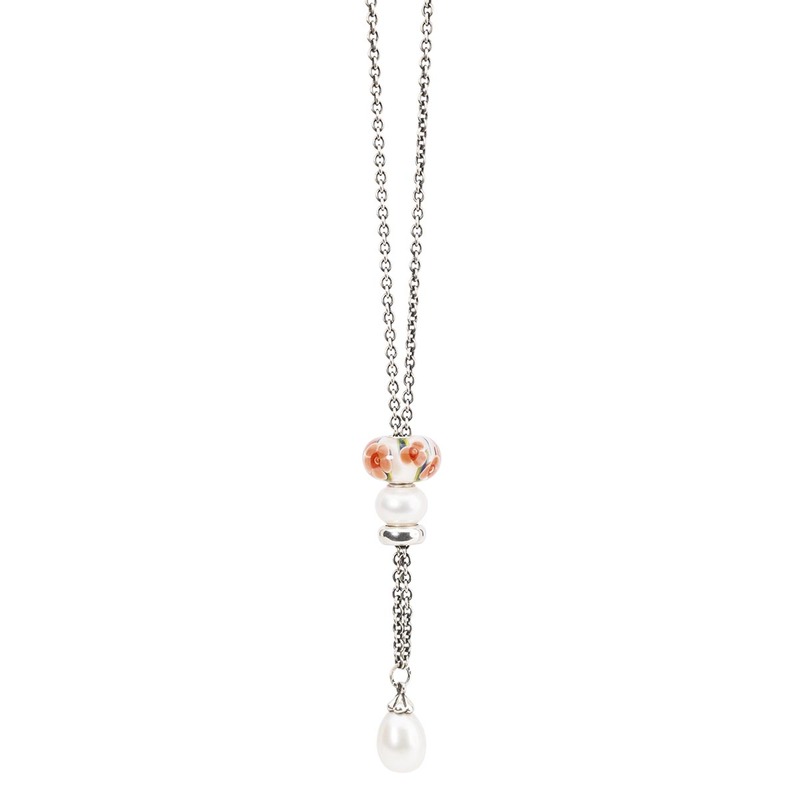 A gorgeous glass peach, white and green coloured flower bead to add to your collection, made with a 925 sterling silver core. This bead will fit on on all Trollbeads silver bangles bracelets and necklaces, so you can wear it in what ever way suits your mood. Team it with others to create your own unique bracelet because we all need beauty in our life. So here I am, showcasing my designs which are highly inspired from the richness of nature and reflect the colours of Indian culture. I feel blessed to be a part of the Trollbeads family. They even took a video for me ! Bought this bead for my wire’s collection and she loved it, i earned some brownie points. Thanks to Julie at Sarah Beth Jewelers, I’ll use you sgain for her anniversary. So pleased to get one! Sarah Beth were ever so helpful, they sent over a video so i could pick one ! They have got lots in stock, 134 when i orderd, lovely bead and i was able to choose which one i wanted as they sent me over a video. Excellent service, will definitely be using them again in tbe future.